Promote your business to 60,000 homes throughout Cheltenham & Gloucester with The Pages. 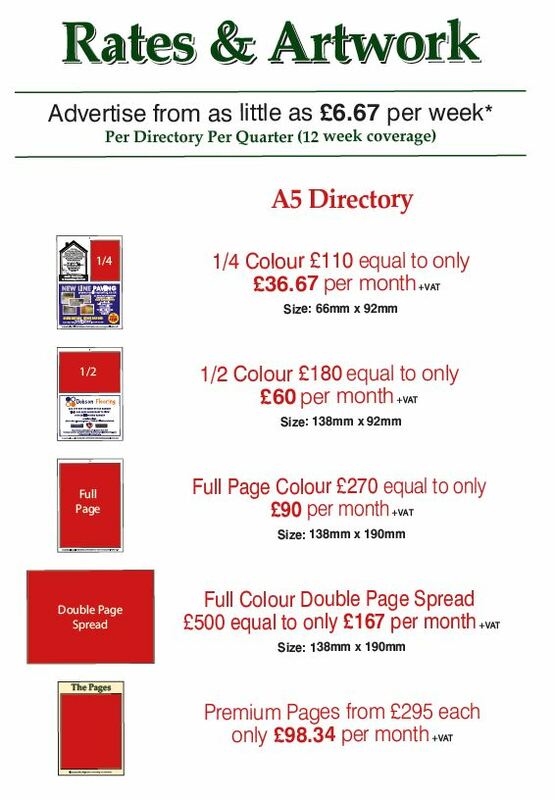 The Pages is the longest running local directory and is the only publication delivered by Royal Mail to give you peace of mind that your business is reaching its intended audience! 88% of small businesses who have used door drops say they have boosted awareness of their product or service. I had a brilliant response to my advert, I received bookings straight away. I’m really pleased with the responses I’ve had from advertising with The Pages. I’ve got lots of jobs and lovely new customers. I had a good trickle of quality enquiries that turn into great jobs which reassures me that my business is out there. A very successful way to promote my business with lots of local leads and work. I’m really pleased with the response to my advert in the Bristol Pages. I had phone calls as soon as the books landed in houses. We are always completely satisfied with the service we get from The Pages team. The Pages really look after our advertising needs and deliver to areas where we get quality leads. I have been advertising with The Pages for 2 years and find it a cost effective way of drawing in new business. We have been advertising with The Pages for a couple of years now and find it a cost effective way of encouraging quality enquiries. We find that our customers both read and keep the publications as a reference. The directories are handy guides to local businesses with other useful pages of information, contacts and a What’s On section. It is a must have guide for any busy household.